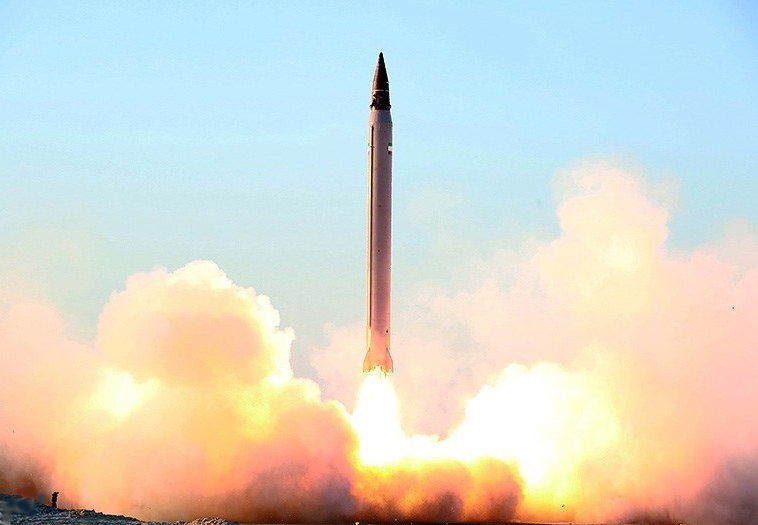 AFP News: Iran has successfully conducted a test fire of mid-range modern ballistic missile and has determined to further strengthen its nuclear power. Iranian media says a modern ballistic missile has been tested during the tensions with the United States. Iranian official TV said the new missile named as 'Fateh Mubeen' has successfully tested and it can hit its target on both sea and land. Iran's Defense Minister Amir Khatami told the local news agency Tasnim that "We promised to our Iranian nation that we will not allow any hurdle in our way to develop more advance missiles. We will increase the power of our missiles every day," he said. Details of the missile's new capacities have not been given, but it as estimate that the missile has the range of 200 to 300 kilometers according to the US Center for Strategic and International Studies. US officials told focus news that last week, Iran had test fire 'Fateh 110 Missile' during naval exercises in the Hormozgan area. An American general regarding Iran's Naval exercises said in his comments that these exercises have been sent as a message in response to sanctions by US that Iran can stop the passage of crude oil. Amir Khatami quoted the missile as saying that "Due to its full capacity, no one can stop it and it is 100 Percent locally built" which has been observed in all aspects. Remember that in May this year, the United States President Donald Trump suspended all the nuclear deals with Iran which was signed in 2015, after which tensions are high between Iran and United States.